Glass man to Ironman: Southwell Tri, 2013 Season review and whats new for 2014!!! 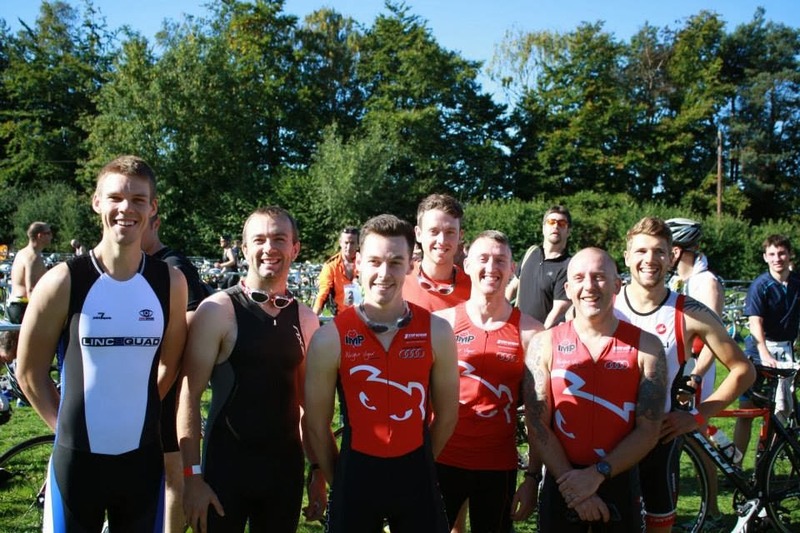 Southwell Tri, 2013 Season review and whats new for 2014!!! So as the season comes to a close, the last race on the calendar was the Lastminute Southwell Triathlon...having not done a sprint distance tri since....well....this one 2 years ago I decided to enter and have a little "smack down" with some of the new and old lads in the Lincoln Tri club....loads of high expectations and lots of sandbagging!! Barefoot into transition...running shoes on...no socks again, helmet off, belt switched round...go! Looking back, I beat my PB on the course by 6mins....and last time I was training for it big time!, this year....I had not done anything since Ironman in August so almost 2 months of no training and just the odd swim, run and cycle to work...I wont hide the fact I was still disapointed in my time but I only had myself to blame as I got lazy....but end of the day, it was a great race with the lads, chilling out after the race and soaking up the sunshine! Well not much to really report apart from 3 races I have done this year, due to the fact of going through a stressful relationship split and adapting to changes to my life, caring for my boy, trying to study to get a new job and trying to keep a roof over my head, but the light is finally at the end of the tunnel so that chapter of my life has now closed and a new exciting one has opened (more later!) Did the Lincoln 10k, got the sub 40 I had been after for so long!! took alot of effort for the last 100m to get past the line in time and to stop myself almost puking! Ace!...but the big race was the IRONMAN UK.....love it so much and wanted to do it again but £400 a pop...I just can't afford it this time so will have to wait till 2015....amazing race, great support from my friends and the local community...its one race you just have to do for the experience! Southwell.....well, its just reminds me that you cant slack off too long as you will loose your fitness quickly, plus dont practice anything on race day!! !